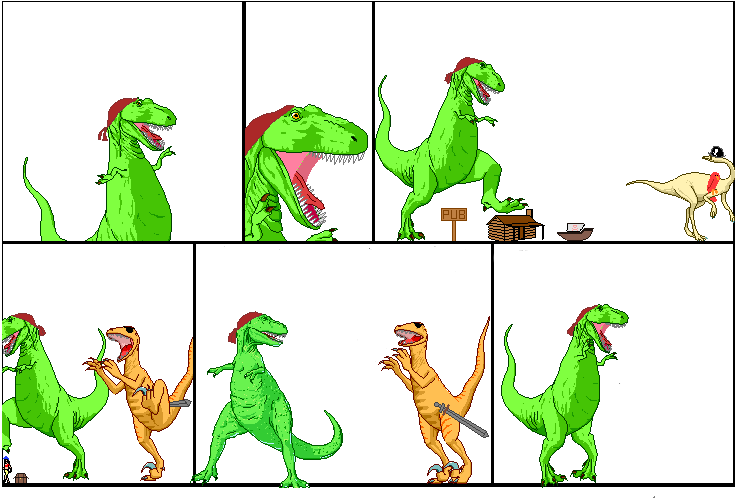 Dinosaur Comics - December 14th, 2010 - awesome fun times! December 14th, 2010: And that concludes my/Utahraptor's little south pole story! It's a really interesting story / time in the world, and though I tried to hit the highlights here, there's tons more amazing things about it. Scott's last letter to his widow is one of them: he starts out comparatively optimistic, but as time goes on he keeps extending the letter, saying "Since I wrote those words, x and y bad things have happened" until he's certain he's saying his final goodbyes. Incredibly moving stuff. There's a bit in the letter where he tells her to remarry and not to be too proud to accept help: when it was published, about £5.5 million (when converted to today's currency) was raised for the families, which is just huge. Anyway there you have it!